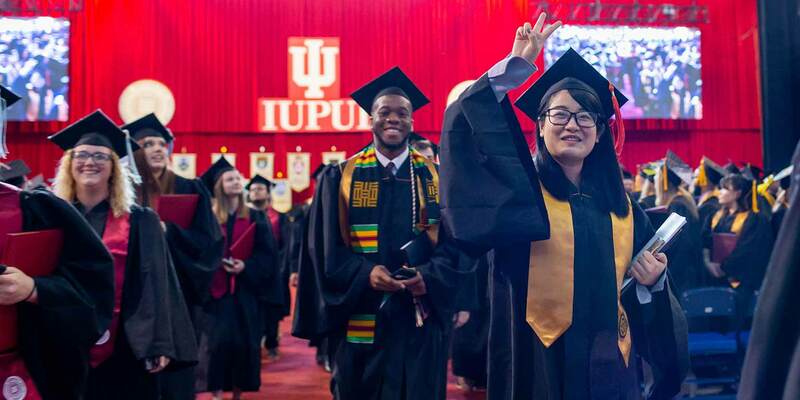 As you’re nearing the end of your IUPUI career, there are a few things you’ll need to know about graduation and beyond. Check this section for information about applying to graduate, getting your diploma, and much more. Your degree won’t be conferred and you won’t receive your diploma unless you apply to graduate. Your academic record may make you eligible for a distinction notation on your diploma. Find out how diplomas are distributed when you graduate. Do you need to prove you graduated from IUPUI? Find out how.